Dr. Md. Hafizur Rahman passed MBBS from Chittagong Medical College in 2006. He obtained Master of Transfusion Medicine (MTM) in 2016 from BSMMU. He joined Enam Medical College & Hospital on 1st November 2016 as Assistant Professor in Transfusion Medicine Department. 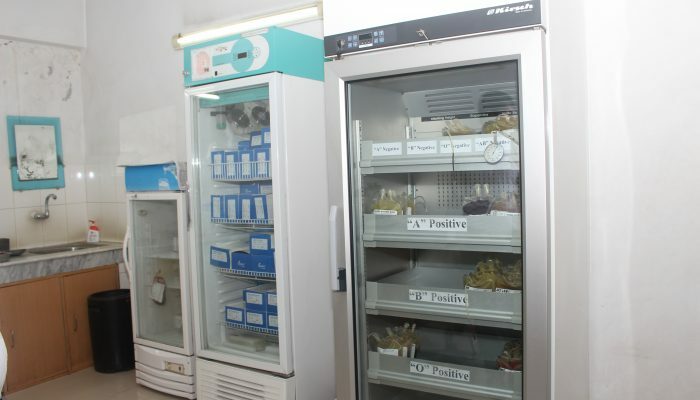 Enam medical college hasa blood bank and immunohematology laboratory under transfusion medicine department which is a place for collecting, screening, typing, processing, and storing whole blood, packed red blood cells, fresh frozen plasma and platelet concentrate, gathered as a result of blood donation, preserved for patient use in this hospital and other hospitals on request. 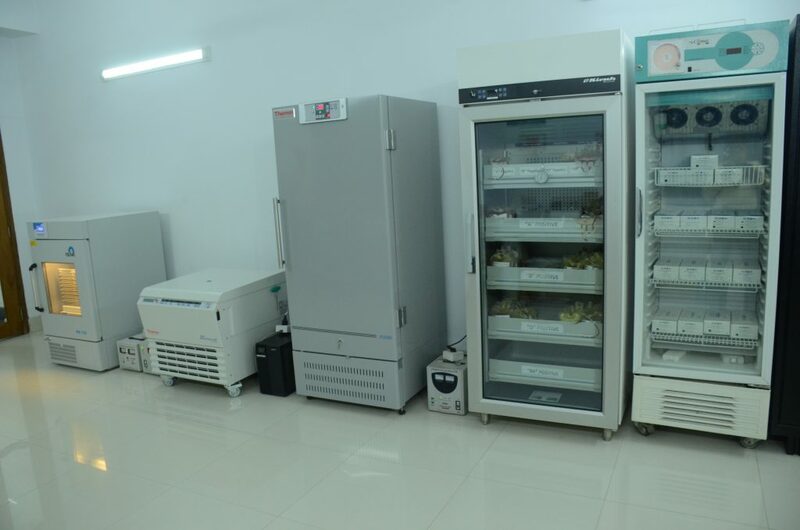 EMCH Blood Bank, located in basement level of the hospital, is a government registered hospital blood bank in Dhaka,Savar Area. 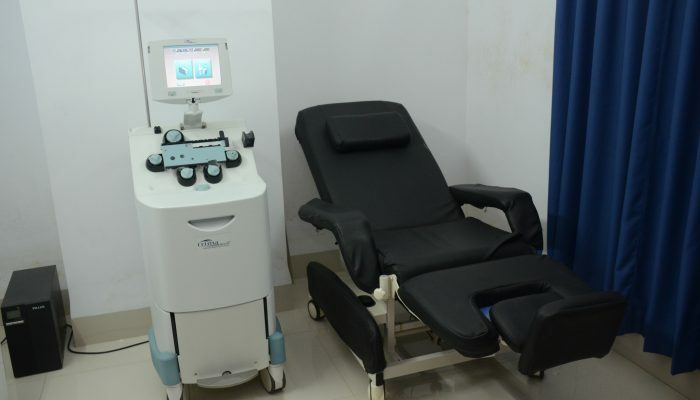 We are committed to keeping pace with the demands of providing 24-hour service by cutting-edge technology and the most secure blood transfusion policy, and we maintain quality in every stride. 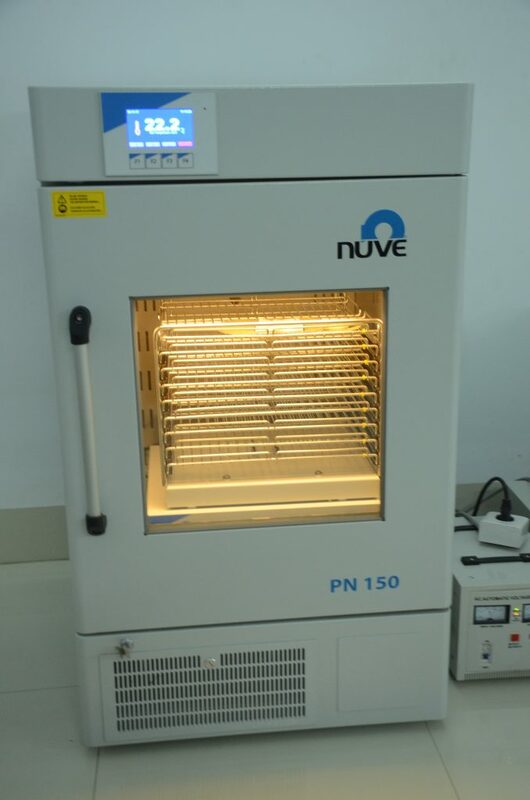 We provide blood and blood product by standard protocol in all aspects of blood screening, grouping, compatibility testing, component preparation, storage, and transportation. 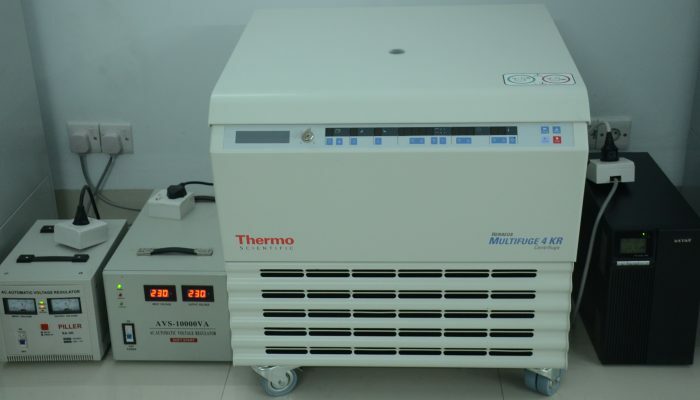 Temperature of preserved blood and blood component is strictly maintained in each step. 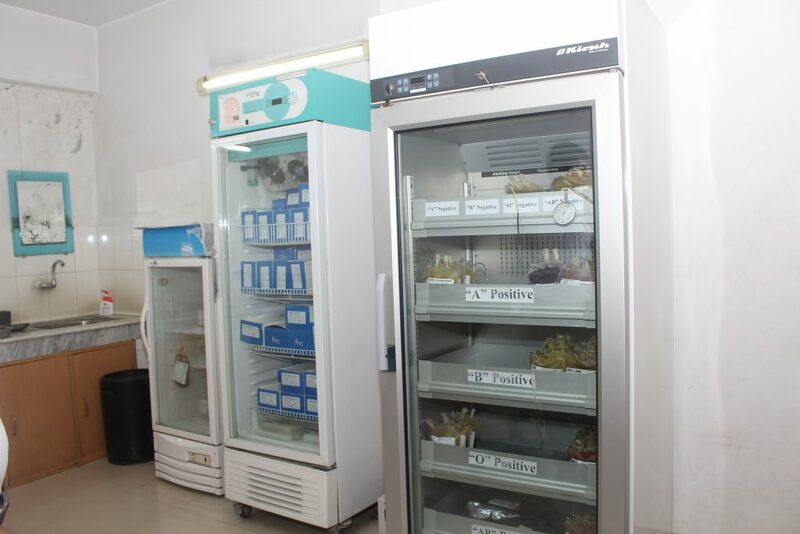 We also provide blood and blood component to other hospitals in case of emergency. 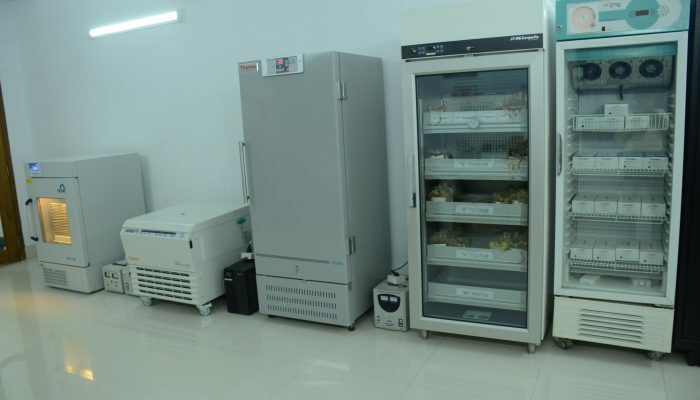 In EMCH Blood Bank, most blood for transfusion is collected from family members and friends as a donation system. Blood is a specialized connective tissue that contains continuously renewing cells like red blood cells (RBC) which renew every 4 months, platelets that renew every 8 to 10 days, and also white blood cells (WBC). The cells are swimming in the liquid part of the blood, the plasma. Adult blood volume is 5 to 6 litres. The blood carries oxygen by RBC from the lungs into the tissues to generate energy. It carries out carbon dioxide to be expired through the lungs. WBC plays a key role in immunity. Platelets and plasma are responsible for stopping the bleeding from wounds by clotting of the blood. Blood donation is not hazardous and it proves to be a healthy habit that helps blood renewal. The volume of whole blood donation is 450 ml, almost 7.5% of the adult blood volume. It is compensated in a short period of time. Eligible healthy donors (age 18 to 60 years, having Hb greater than 12 gm/dl, and weight above 50 kg) can donate 450 ml of blood. Your body can replenish this volume within 24 hours. Males can donate at every 3-4 months and females can donate at every 4-6 months if they are free from any disease. Platelet apheresis donor’s age should be within 18 to 60 years, weight more than 57 kg and has not taken the medicine Plavix/Ticlid.for the last 14 days. A gap of 45-60 minutes is desirable for a meal. Avoid vigorous exercise/playing tennis for at least 2-3 hours after donation as this can cause bleeding from the site of donation. 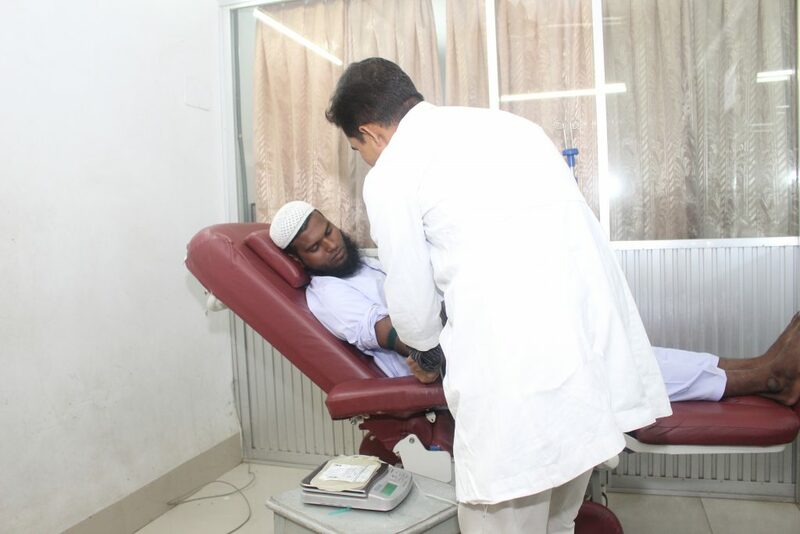 Before blood donation at EMCH Blood Bank, the donor gets a medical examination including medical history, hemoglobin estimation, weight check and blood group determination. 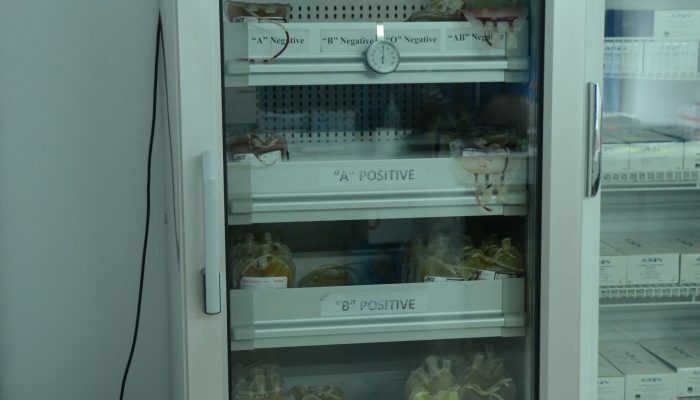 The donated blood is routinely screened for Hepatitis B, Hepatitis C, HIV, Malaria, and Syphilis. The potential risk of acquiring HIV or hepatitis through transfusions has made it a common practice to screen the blood prior to transfusion. 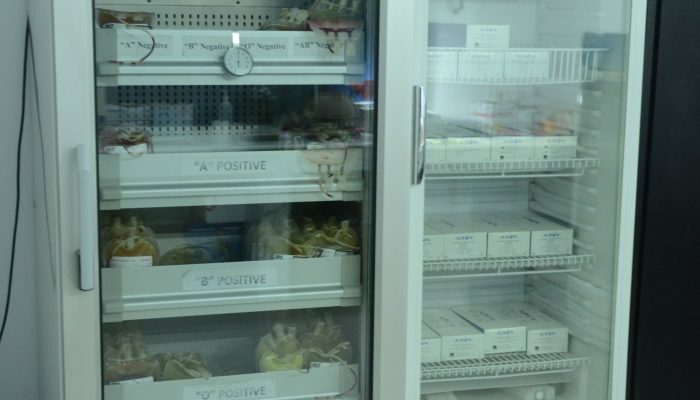 We perform testing to determine the blood type of the donor and screen the blood for transmissible infections for patient’s safety, and finally cross match with the patient’s blood to identify compatible blood products for blood transfusions. All our materials used in blood donation are strictly sterile and disposable. 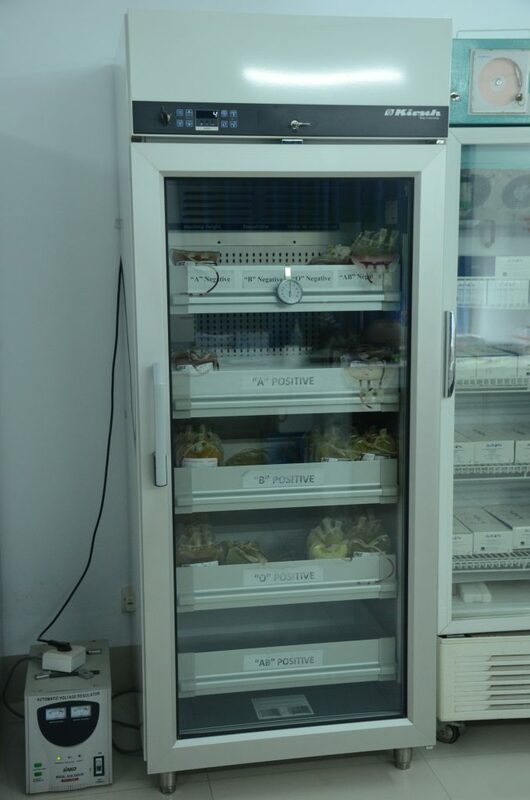 For a random donor collection, we usually collect the whole blood and prepare different components from that whole blood units like PRBC, Platelet Concentrate(RDP), Fresh Frozen Plasma (FFP), Platelet Rich Plasma etc. 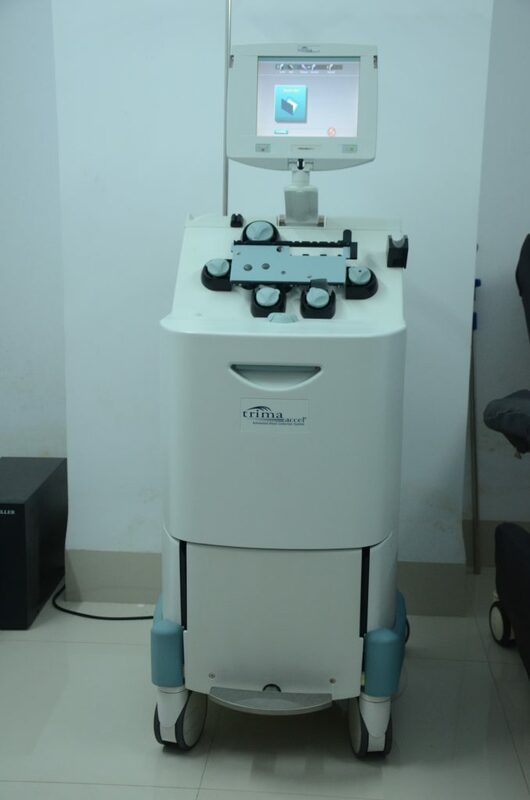 Single Donor Apheretic Platelets (SDP) are prepared by connecting the donor to a machine and selectively collecting the platelets and returning the remaining blood components back into the donor. The total dose for an adult patient equivalent to 6 random donor platelets are collected. So less risk of getting transfusion transmissible infections and development of unwanted antibodies. The collected Whole Blood is spun in a centrifuge to separate it into different components. The packed Red Blood Cells (RBC) are refrigerated at2-60c with an anti-coagulant solution (CPDA-1) to extend shelf life to 35 days. 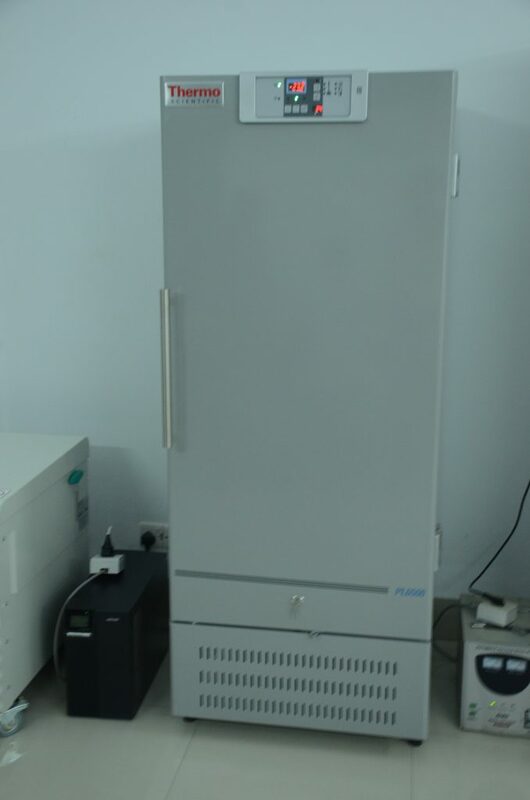 The less dense blood plasma is made into fresh frozen plasma and platelets and is labeled accordingly based on the products. 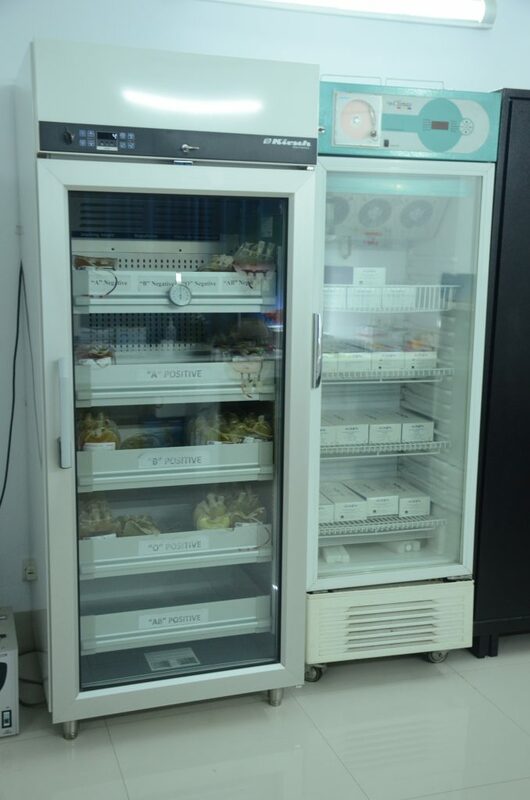 The plasma is frozen promptly within 6 hours of collection and labelled as Fresh Frozen Plasma; it is stored at –30°C or colder for one year. 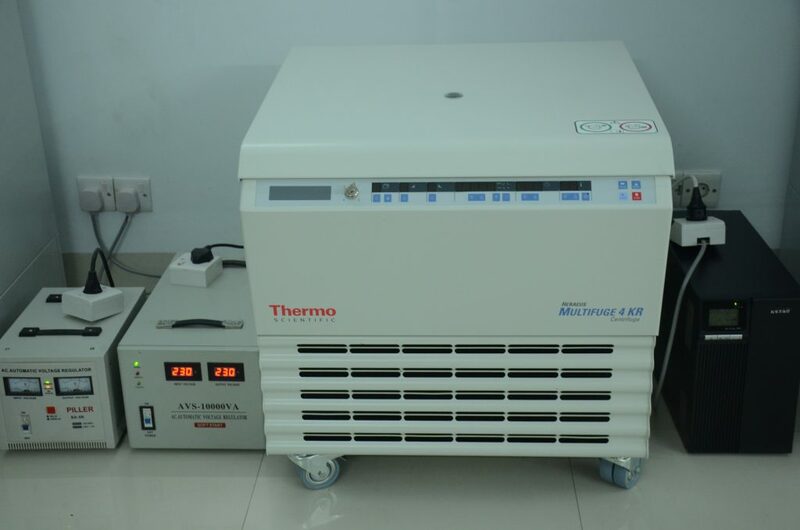 The platelets are stored in an incubator at 20-24°C temperature with agitation, and have a shelf life of five days. 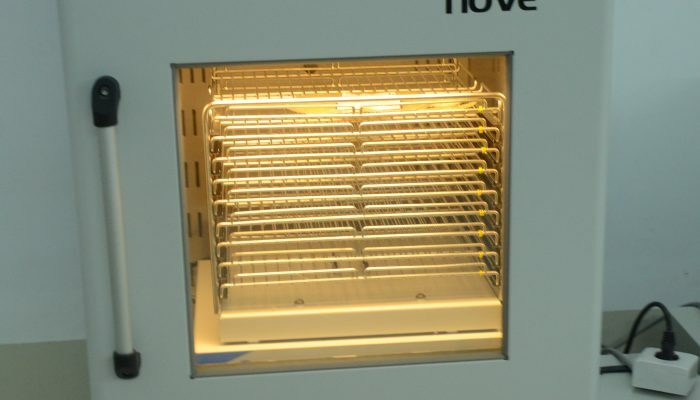 Since they are stored at room temperature, they are at high risk for growing bacteria. So we are routinely doing quality checks which include blood count, pH and culture. We are preserving Whole Blood for up to 35 days, maintaining its usefulness in blood transfusions with an anti-coagulant (CPDA-1). Thousands of patients need blood transfusions like patients suffering from hemorrhage due to casualties, surgical procedures, pregnancy; hemophilic patients; patients suffering from chronic anemia and malignancy; thalassemia patients; patients who have had organ transplantation, neonatal jaundice and others. Further, emergency occurs every second. We need to be prepared to face any kind of adversities natural as well as man-made.EMCH Blood Bank wishes that nobody needs blood by God’s grace, but for those who need blood, we prove to be a life saver. Donating blood is the noblest gift one can offer and we provide a connecting link between the donor and the receiver. 2. Packed Red Blood Cell (PRBC). 3. 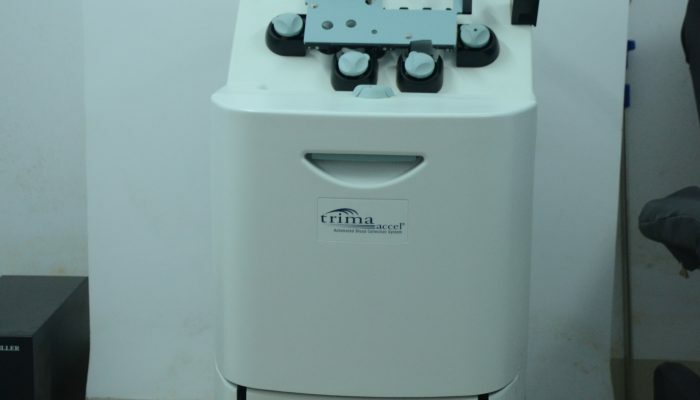 Fresh Frozen Plasma (FFP). 5. Fresh Platelet Rich Plasma. 7. Autologous Platelet Rich Plasma. Dr.Md. Hafizur Rahman, a specialist on Transfusion Medicine and General Medicine, is dedicated to establishing ‘One stop service’ concept in medical treatment. He has been trying to bring all necessary medical services and information available for the patients, under one roof. He aims at disseminating awareness related information among mass people on all health related and other relevant issues. He is practicing his career as Physician and Transfusionist. Completing SSC from Muslim Academy, Jessore and HSC from Govt. M. M. College, Jessore, Md. Hafizur Rahman got his MBBS Degree from Chittagong Medical College. Later, he received MTM (Master in Transfusion Medicine) degree from Bangabandhu Sheikh Mujib Medical University (BSMMU). He received several other certificates and attended training sessions including training on early childhood development (BSMMU), Basic Certificate Course on Palliative Medicine (BSMMU), Certificate course on Cardiovascular disease (National Heart Foundation and Research Institute,Dhaka), etc. 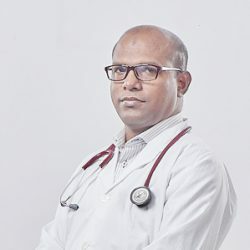 He attended many national and international programs and seminars on transfusion medicine including blood transfusion on relevent fields of neonate,paediatric,surgicalprocedures,oncology,haematology,medicine,gynaecology and obstetrics.He has practical clinical experience on managing huge number of patients of different hospital setting. He is a member of Asian Association of Transfusion Medicine (AATM) and Blood Transfusion Society of Bangladesh(BTSB). He is linked to American Association of Blood Bank (AABB) and International Society of Blood Transfusion (ISBT). He has been serving as an Assistant Professor of Transfusion Medicine in Enam Medical College & Hospital since1st November,2016.